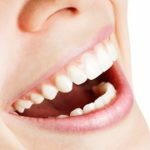 What exactly is Cosmetic Dentistry? Cosmetic Dentistry is defined by the American Dental Association (ADA) as “those services provided by dentists solely for the purpose of improving the appearance when form and function are satisfactory and no pathologic conditions exist” (https://www.ada.org/en/publications/cdt/glossary-of-dental-clinical-and-administrative-ter#c). So what kind of procedures and dental work are offered to help improve the appearance of your smile? Every patient is unique, and it just depends on your particular case that will determine the procedure that best suits your goals for that perfect smile. 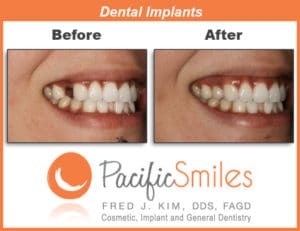 Dr. Kim at Pacific Smiles has worked with many patients for more than a decade, enhancing smile aesthetics and improving the appearance of many patients smiles. During a complimentary consultation with Dr. Kim, he can help determine what procedure is best suited for you and answer any questions you may have after knowing more about your goals as well as your budget. Below is an overview of the Cosmetic Dental procedures Dr. Kim offers here in Redondo Beach. Veneers are thin shells of a material (Dr. Kim uses the strong and durable Porcelain material) that are custom made to match the shape and color of the patient’s teeth. They are bonded onto the front of teeth, creating an attractive and natural looking smile, and are best suited for patients that are unhappy with the shape and size of their teeth, or those who have chipped, worn and discolored teeth. Treatment is usually completed in just two visits and are a great option to cosmetically enhance your smile. Read more about Porcelain Veneers. The Chao Pinhole® Surgical Technique (PST®), invented and patented by John Chao, D.D.S., is performed to treat gum recession. Gum recession is the loss of gum tissue along the gumline, having occured as a result of periodontal disease, the natural aging process, or abrasive tooth-brushing habits. This procedure is ideal for candidates concerned about the appearance of receding gumlines. Read more about The Chao Pinhole® Surgical Technique. 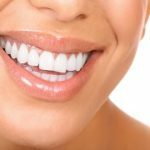 Teeth whitening is a more familiar cosmetic dental procedure to many patients, which is the process of literally whitening the color of teeth that have become discolored due to natural occurrences including food and drink. Here at Pacific Smiles, Dr. Kim uses our in-office chemically activated whitening treatment called Opalescence Boost, a treatment that provides results after just one appointment. Read more about Teeth Whitening. Invisalign® clear aligners straighten crooked teeth and offer a clear orthodontic alternative to traditional wired braces. Without any brackets to hide, restrictions on food or drink, or unexpected trips to the doctor due to broken wires or brackets, Invisalign® aligners provide aesthetic and economical benefits over the traditional use of braces. Dr. Kim’s expertise in Cosmetic Dentistry will help determine whether Invisalign® is right for you. Read more about Invisalign®. Although Cosmetic Dentistry focuses on the general appearance of a patients smile, it is often paired with Implant Dentistry that places Dental Implants in to replace missing or broken teeth. In restoring a smile for functionality, it is imperative that a patient not only finds an expert and Qualified Implant Dentist, but also one that is an expert in Cosmetic Dentistry as well. This offers the patient the best of both worlds in repairing their smile to full functionality as well as giving them a natural, beautiful looking set of teeth. Board Certified in Implant Dentistry, Dr. Fred J. Kim has the highest level of competency in Implant Dentistry and routinely pairs this extensive training with his many hours of training in Cosmetic Dentistry. 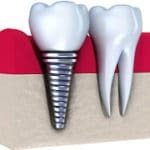 Dental implants are the premier replacement of teeth and are indicated for teeth that are missing or for teeth that have been broken down due to decay, gum disease, or trauma. Dr. Kim can not only restore your smile with dental implants, but he will customize those implants to match the color, shape, and size of each patient so it will fit in with their natural set of teeth. Read more about Dental Implants with Dr. Kim in Redondo Beach. 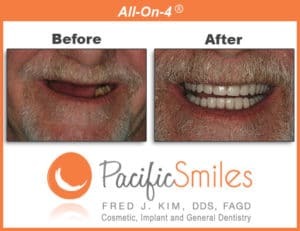 The All-on-4® treatment concept is the modern solution for all missing teeth. 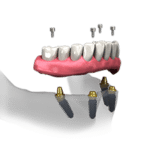 The procedure involves utilizing between 4-6 implants to replace a full set of missing teeth and is designed for patients who have a limited amount of bone and/or a limited budget. Read more about All-on-4® Dental Implants.